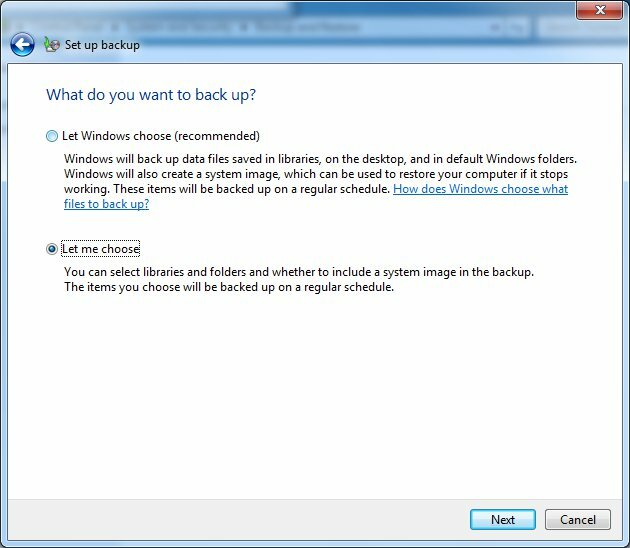 I tried to use the default backup utility in Windows 7 to move my data from one hard drive to another. 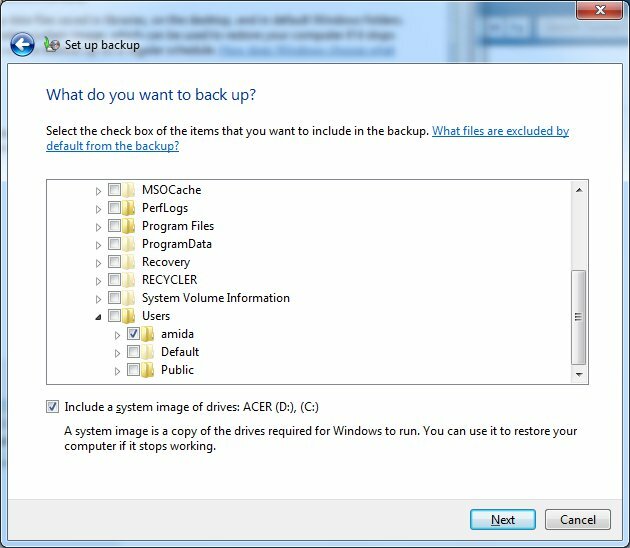 After the files were restored, I found that my Firefox settings and Thunderbird emails were not saved by the backup utility. This behavior is the same as the Easy Transfer Wizard. The non-MS application settings are left out by default. Invoke Backup and follow the wizard. In the next dialog, expand the C drive and Users. Click on your profile to select it. Follow the rest of the on screen instructions to finish the wizard. Everything in your profile will be included in the next backup.